I have been inside the Magic Kingdom a lot. If I even had to fathom a guess as to how many visits in my life - I'd say about a hundred. Or more. But I have never (at least not in memory) been to the Main Street Bakery. Even my last few trips, I have wanted to go there. 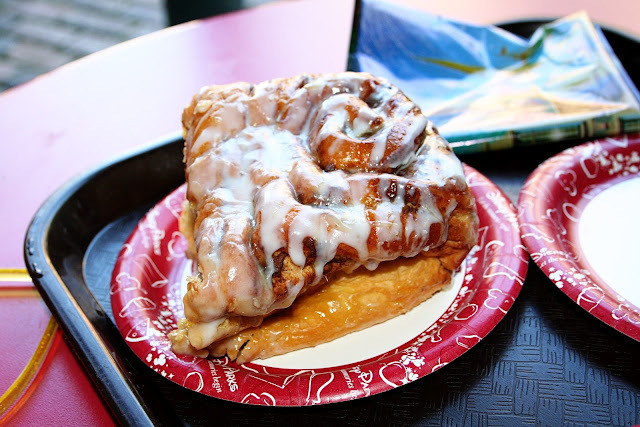 To nosh on that incredible looking Cinnamon roll. But I have been foiled. Part of it I blame on my children as they would rank the Magic Kingdom at the bottom of the four parks - so we are not here much. And if we are here, we are racing for fast passes, Space Mountain, or a lovely breakfast with Pooh at the Crystal Palace. And by the time we head out, it's just managed to drop off of my radar. But on our visit in April, the stars aligned and I finally got my chance! After going over the hours on our trip, we realized our best day to do Magic Kingdom was on a day they offered extra magic hours in the morning. And it also happened to be a morning that the park opened at 8am. That meant we could be in at 7am. Which meant leaving our resort at 6am. And getting up at 5am. Note to readers: if you think that you are going to sleep in on your Disney vacation - you are wrong - or you are missing out! I don't get up this early. Except at Disney. There is some cruel irony there. So, the girls and I rose crazy early. Rode the bus and were at the rope for entrance into the MK at 7am. The girls ran ahead to get in the standby line for Space Mountain while I was in charge of the fast passes. We rode. They rode. We all rode again. 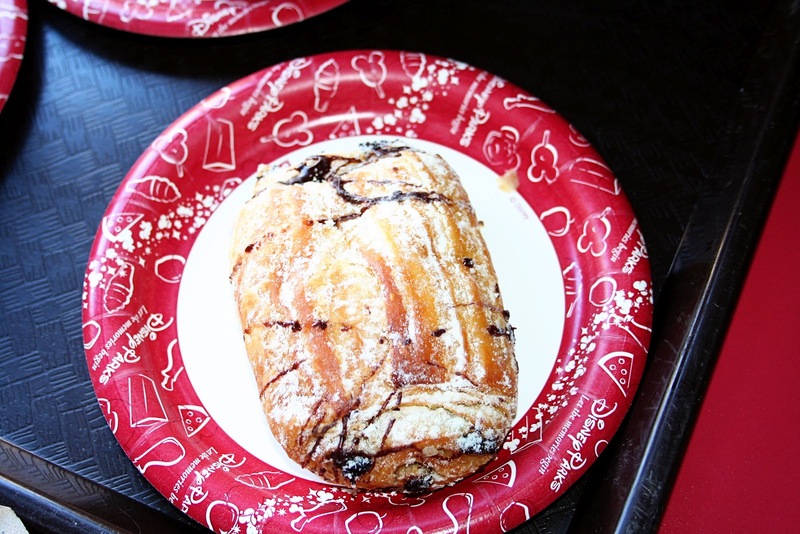 And about 10 am, we were done with Tomorrow Land and Fantasy land - and decided to head out (with the ultimate plan of going to Blizzard Beach for the remainder of the day) - but first we had to stop at the Main Street Bakery. So after looking over the case - the girls went out to get a table outside - and I got in line. I was entertained by watching them make waffle cones for the ice cream parlor. 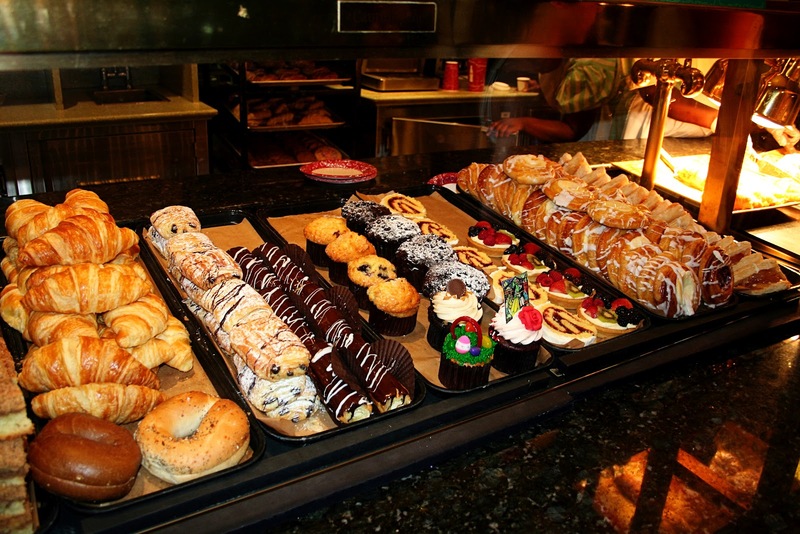 Which really just made me want to order more yummies! I paid for our bounty and then headed out to find the girls. It was really challenging to tell them to wait for pictures before they could dig in! Can you see? 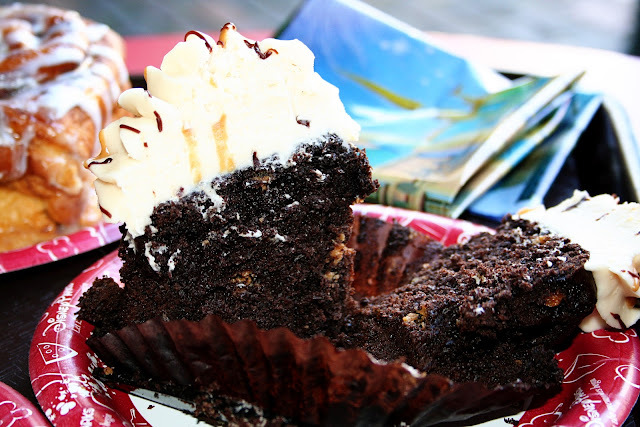 There are peanut butter chips in the cake. Oh. My. Word. 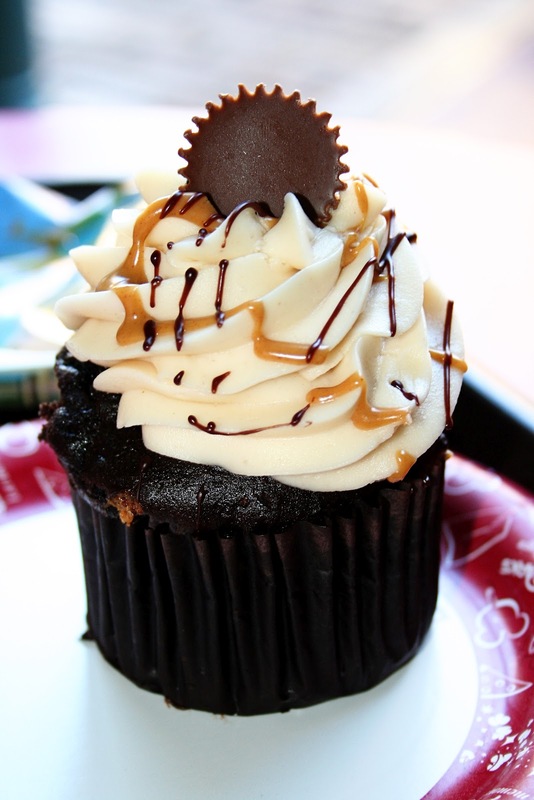 Delicious does not even begin to explain the wonderfulness of this cupcake. Moist. Luscious. Decadent. And I can't wait to go back to have another. Verdict? 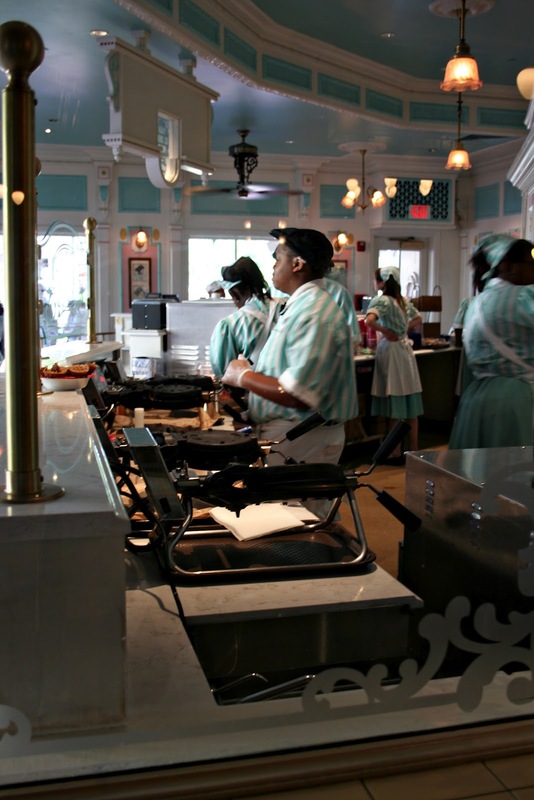 I would say our breakfast was fabulous - it's a great use of snack credits if you have them - or a great use of your Disney dollars if you don't. The scent of being in there is worth a walk through - though I can't imagine not making a purchase - especially now that I have finally tried the Main Street Bakery! So...what about you? From the bakery case - what would you choose for your indulgence? 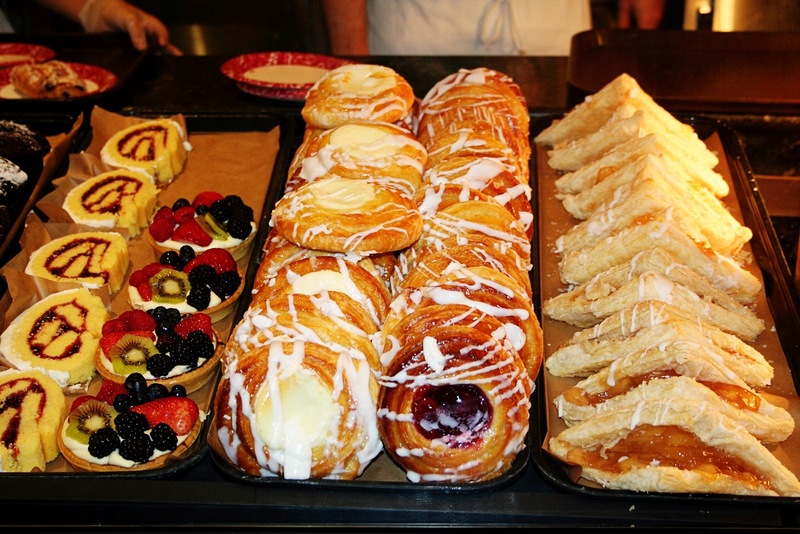 I have yet to visit the Bakery... and boy, I reeeeeaaallly want one of those cinnamon rolls. Do you know if they have those all day long? Or just during the morning? 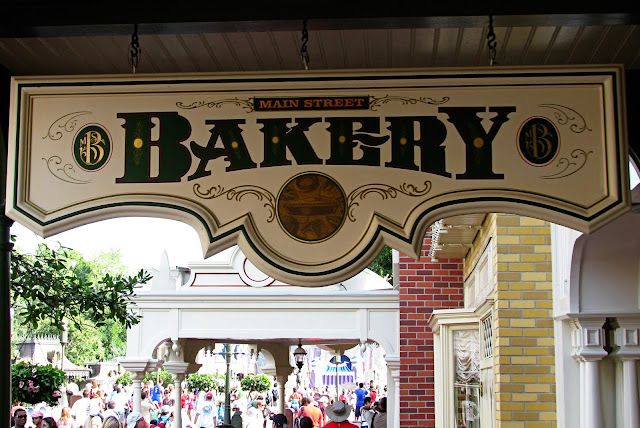 So - did the Main Street Bakery change your kids' mind about Magic Kingdom being their 4th favorite park?! ;-D That really surprised me! Yep, I'm hungry now. 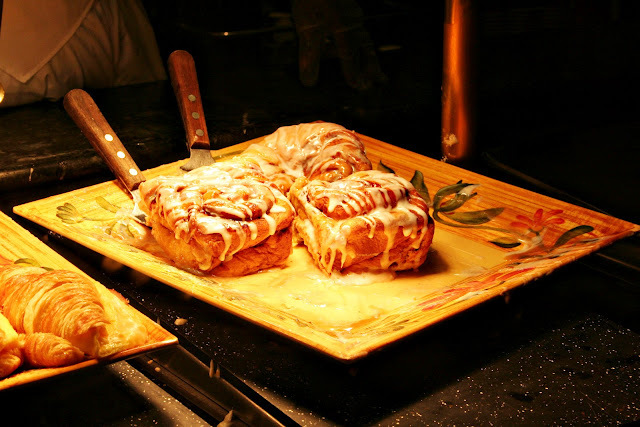 Typically, I go for the cinnamon roll ... but it would be hard to get past that cupcake. Magic Kingdom is my favorite park! (4th favorite? Oh no!) Those pictures are so cruel, as I am starving right now. Thanks for bringing back some wonderful memories. Stopped by from SITS. I can't wait to take my kids to Disney! And your photos did make me very hungry! Wow. I had to speed through the photos after a while and YES! you are lucky I didn't wind up licking my screen. Or maybe that is my FAMILY who is lucky I didn't wind up licking the screen! Were you in Florida or California or elsewhere? I went to high school near Anaheim... we used to go a couple times a year but now, living in Bakersfield - I rarely get there. Now I have more inspiration. LOL! I'm glad for the Saturday Sharefest from SITS! It is what brought me here today! Totally just licked the screen! 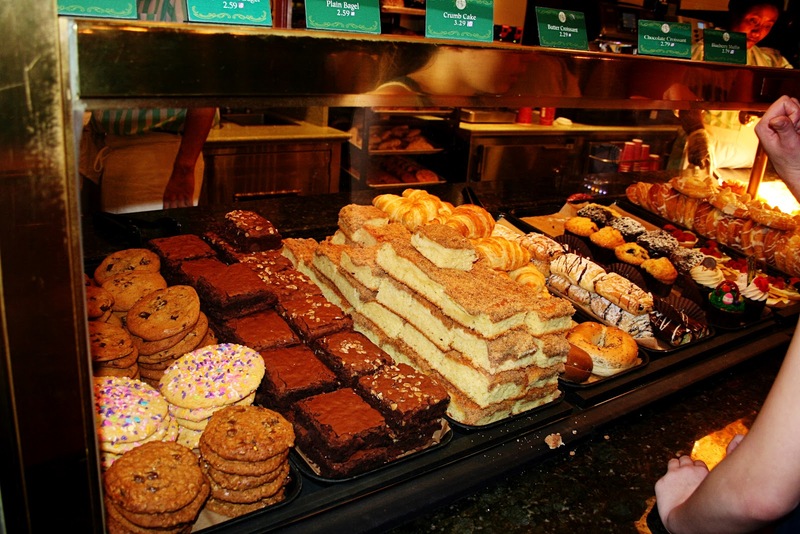 I don't think I've ever been in a bakery like that. I'm hungry now... For something nice and fresh and peanut-buttery!